If you don’t yet have a WordPress-based blog you’re using effectively, then I’m thrilled to announce a new opportunity for you. 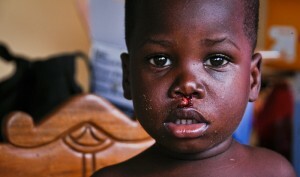 More importantly, you have an opportunity to support our 2011 Haiti Orphanage project at the same time! You may not realize that the January earthquake spiked the number of orphans in Haiti to nearly 500,000. We’ve connected with an organization that is building a new orphanage, and I’m personally heading down there at the end of January. We’ve committed 20% of every purchase made now through December 31st to support this new orphanage. And at the same time, we’re offering our “Business Blogging Basics” package, which includes the training you need in order to use your new blog effectively for a special low price. It’s so low, in fact, that you might think I’m a little crazy. But I’m trying to raise as much as possible for this orphanage project, and so we’ve got the price ridiculously low. Check out all the details here. And remember, the price goes up on January 1st. You can get started 24 hours a day, 7 days a week. Just go here to see all the details and learn about this special opportunity to grow your business and do some good at the same time! P.S. Don’t forget to check out the details here.